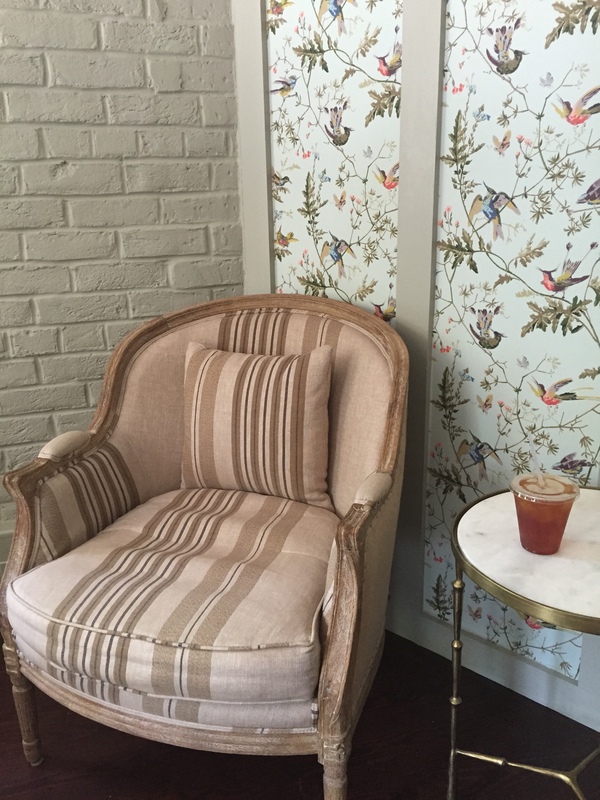 An adorable cozy corner in a café we visited in Savannah, Ga. called Mirabelle. Now, I took an interest in interior design long before moving in with my husband. I planned room layouts and gallery walls for our home before even living here full-time. (Thank goodness that didn’t scare him away.) As my husband and I settle into married life, our focus shifts away from wedding planning and instead toward home improvements. I gathered some images I keep going back to for interior inspiration and wanted to share them on the blog today. My design style is kind of all over the place, from bohemian eclectic to rustic modern to English country cottage. I love your design style, please keep sharing! And congratulations on your marriage!